iMetal’s recent success in the marketplace now confirms Metalogics leading position for the supply of software to the metals processing & distribution centres. This growing success follows the procurement of ten new clients for Metalogic so far this year along with growth in the global market with implementations in North America, Europe and the Far East. Following this increasing activity it has been recognised that an expansion of service and support was required. To achieve this Metalogic has acquired Compusource MCMS in North America. 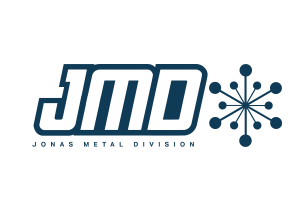 MCMS – who will be trading as JMUSA (Jonas Metals USA) will be supporting Metalogic with sales, implementation and support of iMetal in the North American market and the acquisition means that collectively Metalogic & JMUSA will hold a global base of 550 sites with over 6,000 licensed users worldwide. To support this some structural changes will take place within the company and Leigh Harrison will now head up the newly formed Jonas Metals Division – the new umbrella organisation for the provision of software systems within the metals market. John Padbury will be moving to General Manager of Metalogic and alongside Brian David who is Vice President of MCMS with both companies working to grow the Jonas Metal Division worldwide.